March 24, 2019. “Olympian Clare Egan Closes Out Biathlon Season With Stunning Performance.” Blythe Lawrence, TeamUSA.org. March 16, 2018. “Cape Elizabeth Olympian elected to chair international committee.” Glenn Jordan, Portland Press Herald. February 21, 2018. “How to Manage Stress Like an Olympic Biathlete.” Tara Parker-Pope, New York Times. February 8, 2018. “Cape Elizabeth Olympic biathlete is a true Renaissance woman.” Glenn Jordan, Portland Press Herald. January 2, 2018. “Road to Soko: Clare Egan.” WCHS Channel 6 News, Portland, ME. December 18, 2017. “Cape Elizabeth native on making the Olympics: It hasn’t set in yet.” Glenn Jordan, Portland Press Herald. December 17, 2017. “After Going From Collegiate Track And Field To Biathlon, Clare Egan Achieves Olympic Dream.” Gary R. Blockus, TeamUSA.com. August 16, 2017. “UNH Olympic Hopefuls: Clare Egan.” UNH Wildcats. June 17, 2017. “Cape Elizabeth native on track for Winter Olympics debut.” Glenn Jordan, Portland Press Herald. June 2, 2017. “A biathlete who speaks six languages.” IBU press, BiathlonWorld.com. December 8, 2016. “US Biathlon’s Clare Egan: Calm, Cool and on the Rise.” Jason Albert, Fasterskier.com. November 18, 2016. 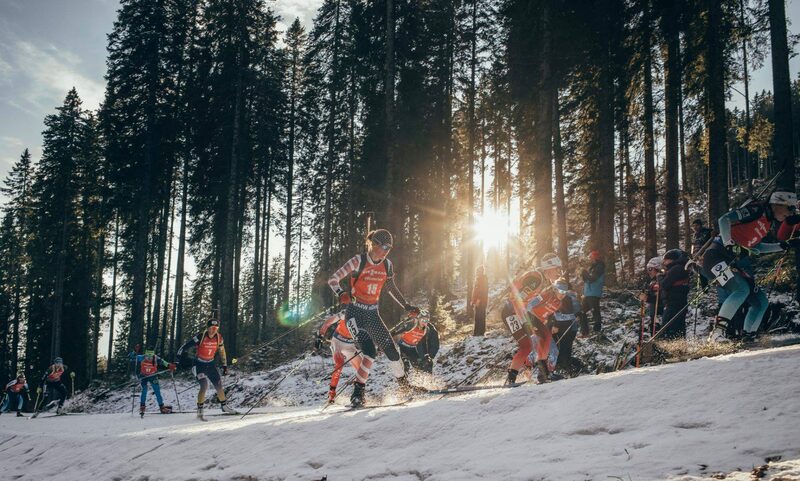 “Nordic Nation: Biathlon Primer Part II with Clare Egan (Podcast).” Jason Albert, Fasterskier.com. February 9, 2016. “Cape Elizabeth native aims high as Biathlon World Cup returns to Maine.” Glenn Jordan, Portland Press Herald. November 30, 2015. “Meet The Newest Member Of The U.S. Biathlon Team, Clare Egan.” Dave Royse, TeamUSA.org. March 10, 2015. “Clare Egan enjoys success at biathlon world championships.” Glenn Jordan, Portland Press Herald. January 23, 2015. “Cape Elizabeth Woman Competing in Biathlon World Cup.” Jennifer Rooks, Maine Public Radio. March 7, 2011. “The long way was the right way for Egan.” Allen Lessels, Portland Press Herald.